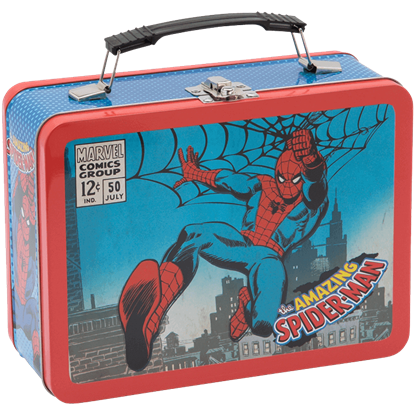 Show some love for one of the most infamous villains of all time with this charming collectible metal tote! 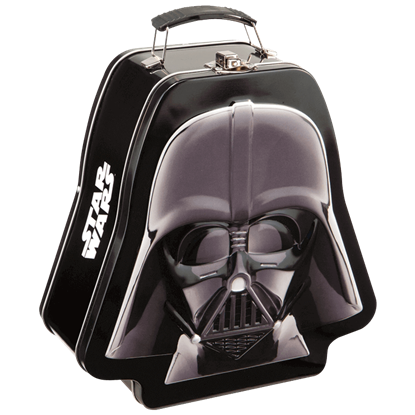 The Star Wars Darth Vader Embossed Tin Tote appears in the iconic shape of the black helmet worn by the Sith Lord. 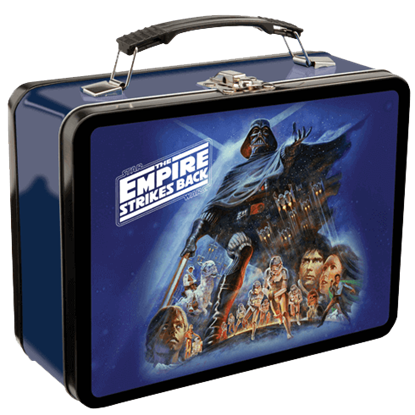 One of the infamous soldiers of the Galactic Empire decorates the front of this charming collectible metal tote! 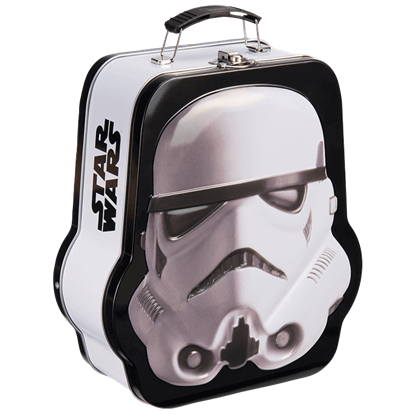 The Star Wars Embossed Stormtrooper Tin Tote appears in the shape of a white helmet worn by the Imperial troops. 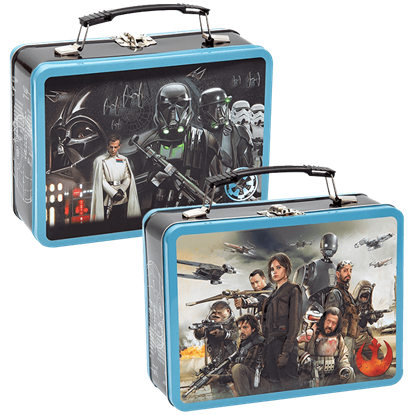 Whether its holding your lunch or storing gear, this Star Wars Rogue One Large Tin Tote is sure to please any Galactic Empire or Rebel Alliance fan. 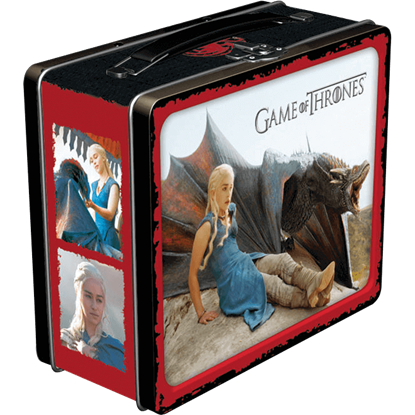 This collectible tote features designs with key characters from the 2016 feature film.